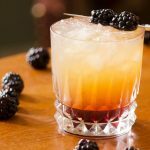 Want to add unique flavors to your favorite cocktails without a lot of effort or money? 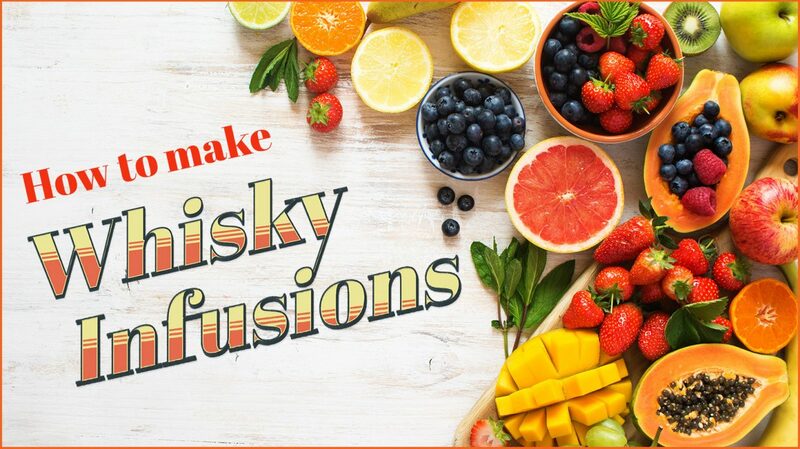 Try making an infused whisky. It’s ridiculously easy and instantly transforms the old and familiar into something exciting and new. “Whisky is almost an infusion already, because it starts off as clear spirit and is then essentially infused with wood in the barrel,” says Adam Seger, chef and bartender at The Tuck Room LA. 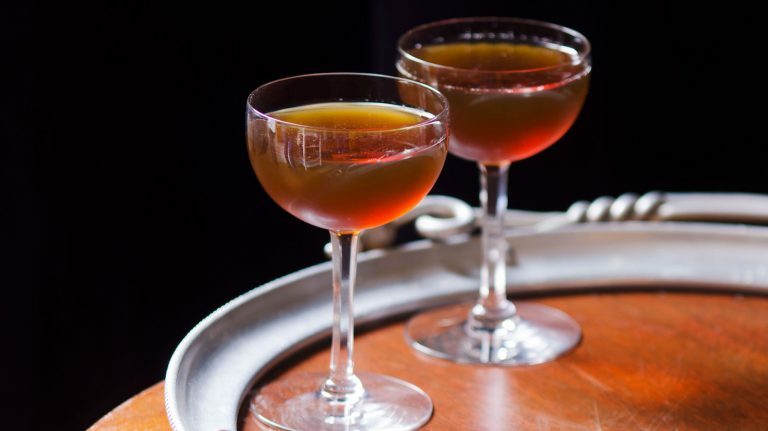 “That nice, rich vanilla base opens up a whole host of additional items you can infuse.” Think of Manhattans made with cherry-infused bourbon and orange-infused rye Old Fashioneds—and then think bigger. You can infuse just about any ingredient into whisky. Although fruits, vegetables, herbs, and spices are most common, you can also work with butter or even cheese, or fat-wash whisky with smoked ham, cooked bacon, charcuterie, or other meats. “Higher proof is better because it pulls more flavors out,” Seger explains—plus, infusing the whisky may lower the alcohol content, making it hard to create a balanced cocktail with your final creation if you start off with a low proof. Choose whisky that’s at least 45% ABV, or go as high as barrel proof. This is definitely not the time to use Pappy Van Winkle 23 year old—but don’t use the very cheapest whisky either. Select a quality, everyday whisky that you would be happy to drink by itself. Drink what you like, infuse what you like, whether that’s bourbon, rye, scotch, or other whisky. Just steer clear of whisky that is already flavored and anything heavily peated, which will likely be hard to balance. Break the skin of the fruit or vegetable without cutting it up too small or mushing it, which can lead to over-extraction and bitter flavors. Muddle cherries or blueberries. For more delicate berries, such as raspberries or blackberries, just barely break the skins. In general, any vegetable or non-berry fruit should be roughly the size of your thumb, so, for example, cut peaches into eighths. Add cardamom, cloves, or other spices whole. When using cacao nibs, nutmeg, and hard nuts like almonds, pistachios, or pecans, slightly crack them first using either a mortar and pestle or by putting them under the flat side of a knife and giving it a smack. If you want to add herbs such as rosemary or tarragon, use the freshest ingredients you can source for the best flavor. 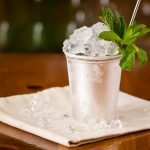 For herbs with delicate leaves, such as mint or basil, freeze-dry them first using liquid nitrogen, or else you’ll end up with muddy-tasting whisky, Seger says. Heartier herbs such as rosemary can be added fresh, however. “Whisky naturally contains fatty acids, and these love to bond to fats to add flavor to your whisky,” Seger explains. But if you add cheese, butter, meat, or another fat, once the infusion tastes as you like it, freeze it overnight and skim the fat off the top in the morning. You can buy a vessel just for infusing for $120—or save money and simply use mason jars, saysTre Stillwagon, head bartender at Analogue in New York City. “Make sure you have a proper seal on any infusing vessel,” he says. “That way you don’t have to worry about dirt, debris, or bacteria getting in there.” Place the jar in a cool area out of direct sunlight. If you let the whisky just sit there, it won’t extract as much flavor. Shake or stir it once a day. After 24 hours, taste the whisky: Do you like it? It’s ready now. If you want more flavor, let the whisky infuse another day and taste it again, continuing until it’s to your liking. Most infusions take three to six days. Use a fine chinois or cheesecloth to strain tiny particulates out of the infused whisky; in a pinch, a coffee filter will do. Gently press fruit to get any remaining whisky out, but don’t overdo it or you will end up with cloudy and potentially bitter alcohol. You’ll want to discard the infusion ingredients: while you may think those cherries are going to be fantastic, if you eat them, you’ll find they have almost no flavor—because it’s all in your whisky. Bartenders may add some fruit and multiple spices at once, but Stillwagon recommends infusing one ingredient at a time, especially if you’re new to this technique. “Once you start mixing in a bunch of ingredients, the flavor can get muddled—and if you don’t mix the ingredients correctly, you’re wasting good whisky,” he says. So if you want, for example, nectarine mint bourbon, split the whisky into two glass containers. Add nectarines to one and mint to the other. Infuse each until you achieve your desired taste, strain, then blend the two to taste, keeping in mind that you may not want a 1:1 blend of the two infusions. Nobody wants to waste good whisky. For your first batch, Stillwagon suggests starting with about eight ounces. If that’s good, scale up the ingredients. “There’s no surefire methodology to infusing whisky—it’s a mix of science and epicurean culture,” Stillwagon says. “Have fun and see what flavors play off one another.” Here are some of the most common pairings. Bourbon with high-sugar fruit such as nectarines, lemons, plums, and peaches. “Bourbon’s rich vanilla brings out the decadence of the peaches,” Seger says. “Use this infused whiskey to make a peach Julep, because peaches and mint are amazing together.” Stillwagon adds that any fruit-infused bourbon makes a phenomenal Old Fashioned. Rye with sage for a savory note, or rye with chocolate. Buy bittersweet pure cacao and roughly chop it. Agitate the rye twice a day, giving it a really hard shake. Use the infused whisky to make a Brooklyn or Manhattan. Japanese whisky with Asian pear and lychee. What grows together goes together. “Serve the whisky by itself on a single hand-cut piece of ice for elegant simplicity,” he recommends. Highland scotch with bananas (again, keep the peel on). “The fruit is amazing with the notes of heather and honey,” says Seger, who recommends using this infusion to make a Bee’s Knees. Islay scotch with toasted walnuts and blue cheese. It creates a rich, smoky balance that’s perfect to make a sophisticated Rob Roy, Seger says. 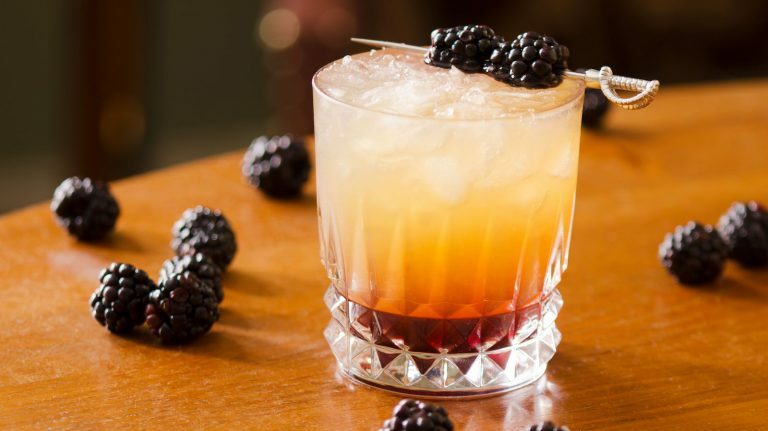 Tennessee whiskey with berries. Use this infusion in a Bramble with more crushed berries, or make a berry Whiskey Sour. White whisky with high-sugar fruit to balance out the immature flavors. Try blood oranges, grapefruit, or Granny Smith apples. Seger uses cherries and vanilla bean, serving the whisky in a Highball made with ginger beer. 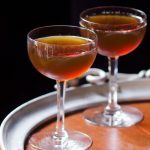 Stillwagon infuses two batches of rye separately, then combines the two to make a twist on a Bee’s Knees cocktail. 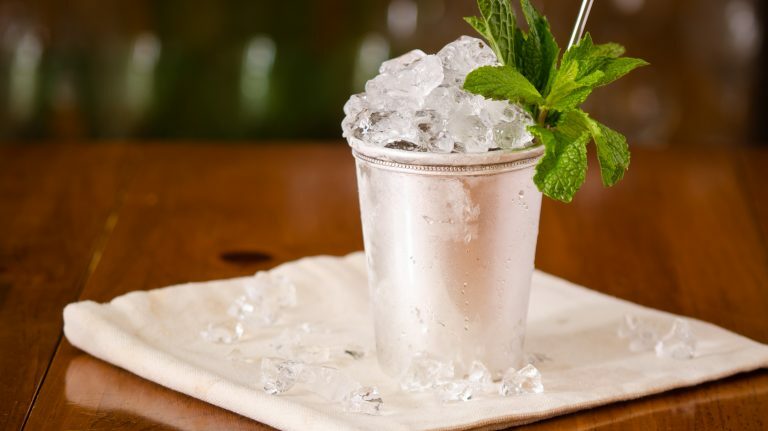 Combine ingredients in Boston shaker with ice and shake to chill. Double strain into a coupe glass. Garnish with spanked sage leaf.